I love doing house chores! That may sound weird since house chores are always associated with boring, manual work. But when I took a moment to reflect on why I felt this way, I realized it’s probably because I had observed my Mother lovingly do the house chores at home. I remember hearing her sing while washing the dishes or cleaning the dining table. I remember her excitedly sharing with me how she was able to try out a new recipe with what she found in the market that morning. Oh, how she loves the market! She even became friends with some of the vendors there and gives them personal advice on family matters. Somehow, when i think about it, perhaps, it was a subliminal message. Seeing my mother do all these things with care and love and affection, allowed me to see house chores in that light as well. And so, as I now have my own family, I continue to do my house chores happily. So far, I’m happy to see that some of my children are clearly picking it up and loving the work as well. I put a little twist, however. I added an element of play to it. I was trained as a preschool teacher and play worker and thought that perhaps making chores a little more fun and playful would be one good way to surely get all the kids more involved. 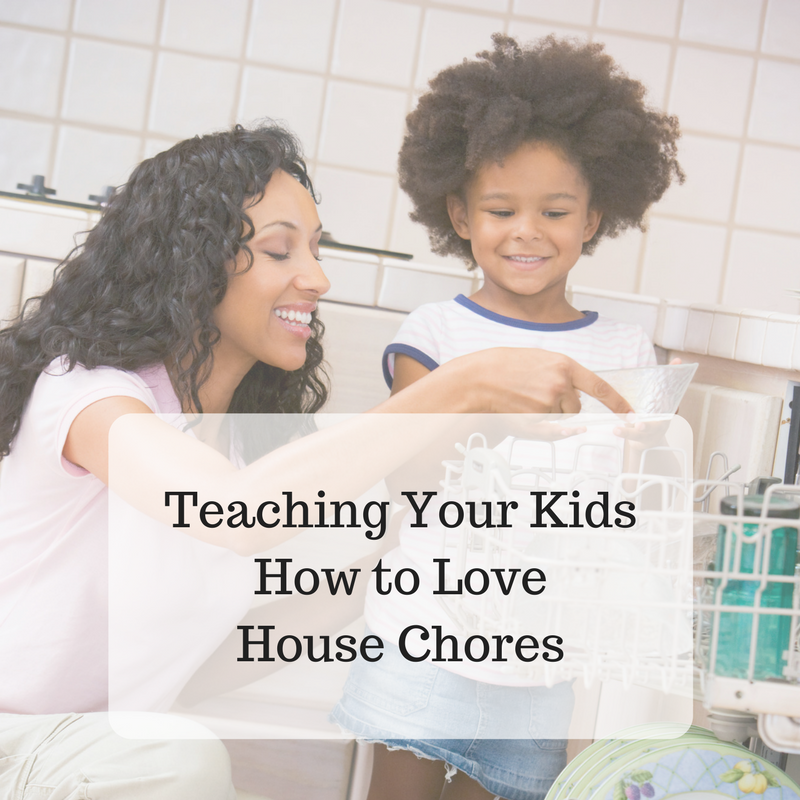 So for parents who are still about to get your kids more involved in house work, here are some techniques that I learned along the way, and am happy to share them with you. Let me know what worked for you and if you think you’d like to add a few of your own approaches. If you were to get into something that would involve your time and effort, wouldn’t you want to know what kind of commitment it will take? Well, children are like that as well. They will want to know why they need to clean their room, fix their beds and sweep the floor. Explain to them as clearly as possible why. Sometimes, it may not be because the help has gone away. Maybe it could just be that you would like them more involved in the house work. So you can simply say, “Well, Daddy and I have been thinking that you’re big enough to be Daddy and Mommy’s helper at home and help take off some of the work that we are doing for everyone. You will really be a big help to Dad and Mom”. By saying this, you empower them to actually be on the giving of help end rather than on the receiving end. For a young child of 5 or 6, that is so invigorating! It is almost an exhilarating feeling to realize that the power to make the most important people in their life feel better and happier lies in their hands — and in their “yes” to do a house chore. When you sit them down, you can make it fun by putting some excitement in your voice and ask them, “Who wants to be in charge of washing the dishes? Of collecting the glasses after dinner?” Before you know it, they will try to outdo each other in taking on specific chores. Kids get excited when it sounds like a “race”. If you have more than one child, you have to be specific about what you want each one of them to do. Or, you can start by asking them what they would like to do. Then you, as a parent, have to be equitable in the distribution of tasks so no one complains and compares. Otherwise, this is where the issues come up. It has to be clear with everyone why you are asking your 6-year old to just pack away the place mats while you ask your 11-year old to wash the dishes. Explain to all your kids that we are not all capable of doing the same tasks at different ages. There are always some tasks that younger ones will not be able to do yet, or it will be more risky for them to do it, such as possibly breaking dishes when they’re washing. When they reach the right age, work will gradually become more complex for them. Take the time to explain. When you take the time to make them understand, they will appreciate the reason behind it. When your children start engaging in the task assigned to them, make sure to give them positive feedback. Try not to criticize even if you feel like doing so. Give them lots of thanks and encouragement. Sometimes, there are some children who validate themselves by the feedback you give them. It can make or break them! If they’ve done the task for the day, take the time to check on their work (either as they are doing it or after they’ve done it) and give feedback. You may say, “You did a good job in sweeping the floor! I’m so happy you can clean your room this way!” And if you feel they need some improvement in the work, you can say, “I’m glad you did your task well today. Maybe tomorrow, we can just try to wipe this part and it will even be more clean!” Don’t forget to say it with a smile. A smile is always encouraging! Let’s face it. Your child’s work may not be as good as if you had done the work yourself. For sure, there will be a missed spot, still some leftover food UNDER the table even after they’ve swept it, or a pillow that’s out of place. The important thing is that they did it. As with any baby learning to walk, it takes time and practice till they get it. We have to keep encouraging them to keep on and develop the virtue of persistence and in the process try to imbibe the virtue of excellence in doing the task they are assigned to do. We need to grow in patience as well, parents! Navigating the world of parenting is never an easy task especially when we struggle against the habits we ourselves are trying to get rid of. It does help to live out being a role model to your children. This alone sometimes forces us out of our own vices. It helps to know that children will always have a special spot in their hearts for their parents and they are most forgiving when we fail in some of the values we try to teach them. It also makes them realize that we, too, are just human capable of making mistakes. What ultimately matters is that they see us doing the best we can and that they know we love them no matter what. Reposted with permission from Sigrid Perez at SigNature.